This quote from John Holdsworth, a major character in The Anatomy of Ghosts, is a simple truth. And The Anatomy of Ghosts is a twelve-course feast. Holdsworth is a widowed bookseller, haunted by his failures as a parent and husband, eking out a living in 18th century London selling used volumes from a handcart. One day he is approached by the emissary of Lady Anne Oldershaw, offering him the position of curator of her late husband’s library, with the obligation of cataloguing and placing a value on its contents in anticipation of its bestowal upon university. This seemingly simple task has a corollary obligation: return Lady Anne’s son Frank to sanity, and thus restored, to London. Young Frank has been committed to a sanitarium because he insists he has seen a ghost while at school in Cambridge. Holdsworth retrieves him from the hospital and sets him up in a secluded country cottage. While Frank whiles away his time in the fresh country air, Holdsworth is delving into the fact of the ghost…for Frank’s ghost was Sylvia, the deceased wife of Philip Whichcote, and the circumstances of her death are questionable, at best. Holdsworth is a reluctant sleuth, bound by contemporary conventions of place and social structure, but his curiosity is driven in part by his unresolved guilt over the deaths of his own wife and son, and he oversteps his bounds so carefully those above him in social strata barely notice. He uncovers a secretive society whose chief object is debauchery and blasphemy, and sniffs out a connection between young Oldershaw, the deceased Sylvia, Whichcote, and numerous other players of high rank in the small theater that is Cambridge University. Everything, everyone, is connected, whether or not they are aware of the connection. Andrew Taylor tells his multi-layered story with clarity and precision. His attention to detail, his ear for dialogue, his creation of character, all are wicked sharp. This sentence, for example, tells the reader everything one needs to know about both individuals mentioned: “The doorstep was whitestoned every morning by a gangling maid named Dorcas, a poorhouse apprentice who feared Mrs Phear far more than she feared Almighty God because He at least was reputed to be merciful.” Sights, smells, sartorial details — all lovingly exposited almost to the point of wishing for a kerchief of one’s own to hold to one’s nose. 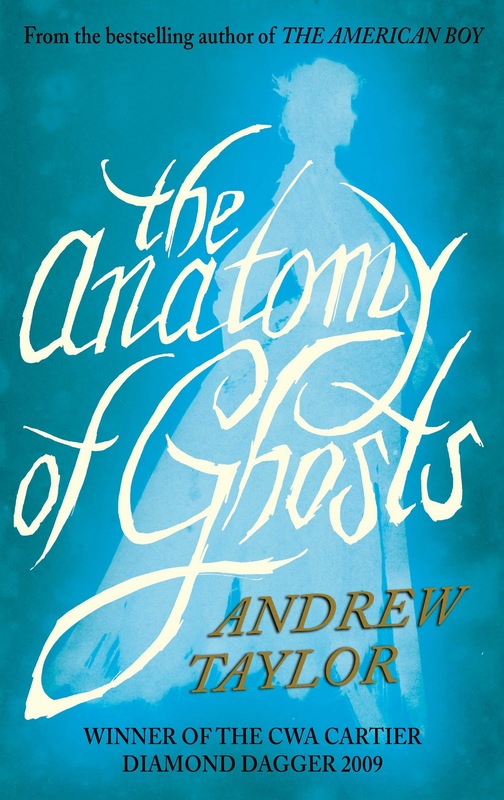 The Anatomy of Ghosts is a rare treat for a lover of historical fiction and a lover of mysteries. Both are exquisitely contained within this one volume. If I had to make a comparison between them, I’d say with The Anatomy of Ghosts, Andrew Taylor has outdone Caleb Carr’s The Alienist. This entry was posted in Books, Michael Joseph, Penguin Press, Review and tagged Andrew Taylor, Cambridge, crime, Ghosts, horror, Michael Joseph, The Anatomy of Ghosts on April 27, 2011 by thehungryreader.